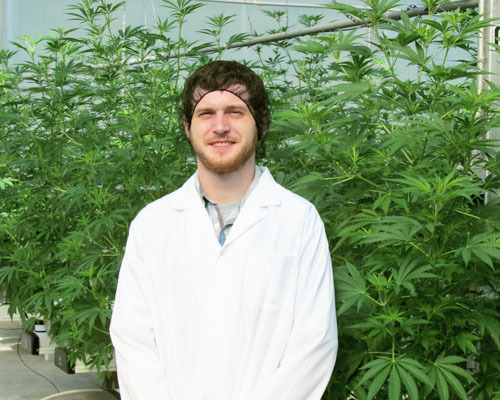 We find that find that there are two main factors which influence the type of greenhouse system that a group may consider for cannabis production. Sealing the greenhouse and mechanically conditioning the air from within. Incorporating odor neutralizing systems and/or filtration and managing the climate through more conventional greenhouse ventilation systems. For a sealed greenhouse system, the main challenge is cooling. You might need 1 ton of refrigeration for every 50-90 square foot of greenhouse space. If the greenhouse demand is beyond 100 tons of cooling, it would be much more efficient to go with a glycol/hydronic chilling system rather than a conventional HVAC approach. The drawback on this is of course the upfront costs. The benefits, beyond the 40-60% energy savings compared to an AC system, are that you are able to maintain optimal greenhouse temperatures without risking the introduction of outside contaminants. This also allows you to avoid the need to address odor in the same way you would if you were exhausting air from the greenhouse (There are also geothermal solutions, but the viability may be region/climate dependent). When approaching a greenhouse from a more conventional perspective, it’s important to first decide your level of tolerance for outside contamination. Typical greenhouses depend on outside air exchange, which can be a source of airborne impurities and pests. To heavily filter all of your incoming and exhaust air is quite cost prohibitive, and is generally not an ideal solution. This is partially because of the cost of the filtration systems, and the need to replace these filters on a very regular basis, but also because you need an immense ventilation system to overcome the static pressure created by the filters. 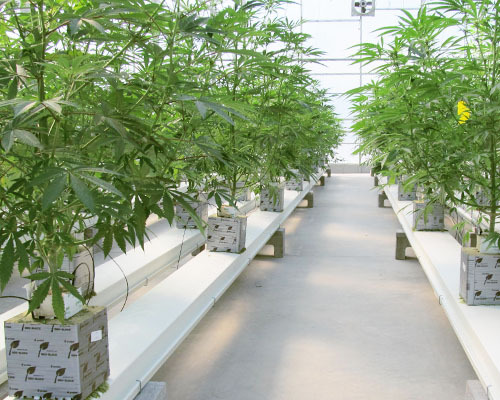 Some greenhouse operators producing for a strictly regulated medical market will ventilate freely, like in a conventional greenhouse structure. These producers may then irradiate their product to deal withbiological contaminants. The choice then becomes if you will deal with odor through filtration, or odor neutralization systems. Again the filtration approach is surprisingly expensive, both short and long term. When it comes to odor neutralization, we have been exploring some lower upfront cost solutions, and seem to be very reasonable. This solution looks to be promising and we are developing a pilot project. This system works by treating odor at the exhaust stage with a non-filter based odor neutralizing system. This way, we're not introducing anything into the greenhouse, and don't have to deal with any of the obstacles faced with conventional filtration. 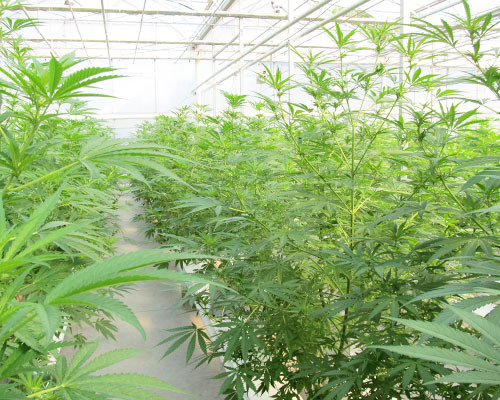 Odor has been a challenge for greenhouse marijuana growers, even in remote rural areas. No one knows what the future will bring, but with the current regulations, it’s something that has to be considered. This is why the lower upfront cost solutions are attractive, because we don't know if odor will be such a problem in the future. There are long term solutions with no consumable costs, but many groups aren't comfortable investing in a solution for a problem that may not persist in the future. These long term, non-consumable solutions may also come with a cost that rivals building a completely sealed greenhouse system. You first need to determine how you prioritize contamination and odor. If you are strongly concerned about contamination, the most reliable solution is to go with a completely sealed greenhouse system. If you are tolerant of some contamination, but need to control odor leaving the greenhouse and aren't sure if this will be a long term requirement, a more conventional greenhouse system with low cost odor controls may be the most logical choice. If you are tolerant of some contamination, but need to control odor leaving the greenhouse and feel that this will be a long term requirement, a more expensive solution with no consumable costs may be appropriate. The problem is that these solutions can be of such large cost, that you might start to consider going with a completely sealed greenhouse system anyway. This would offer you far more control over your environment, and allow for consistently optimal production. This would also help to exclude contamination as a secondary benefit.